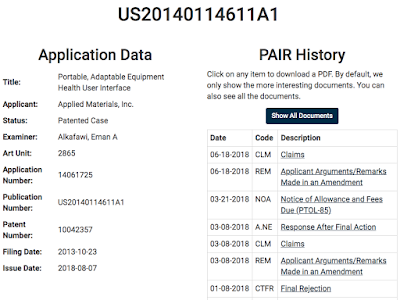 The first column has the basic details of the patent application, and the second column has the IFW. By default, we hide some of the things that you probably don't care about, but you can see the entire IFW by using the button there. In this case, there was a final rejection, the attorney filed after-final response, and the examiner then allowed the claims. 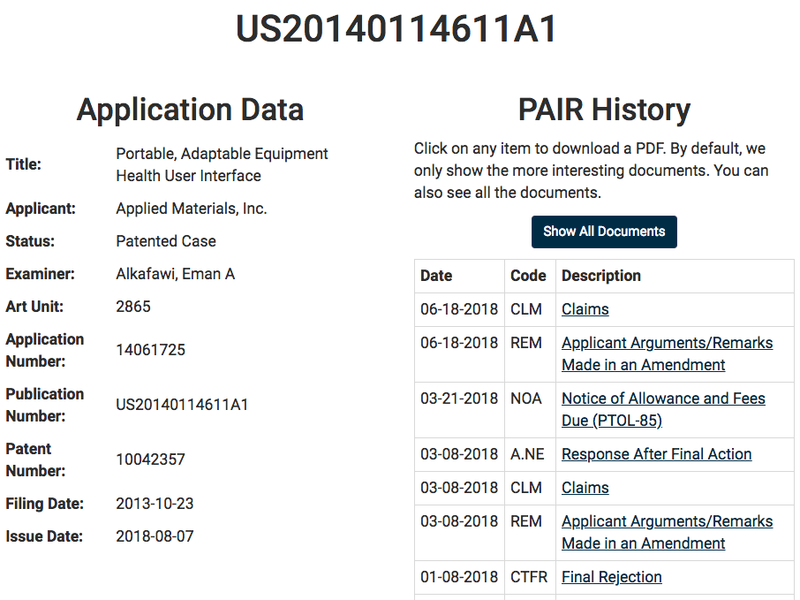 If you had a case pending before this examiner, you might want to look at the arguments that attorney used to persuade the examiner to allow your claims. We plan on expanding upon this in the future. For example, for each office action, we are planning to list the rejections (e.g., 101, 102, 103, or 112) in the table. That way, you can more quickly find successful attorney arguments on the issue you are facing.